Roger Hudson expands on a photograph of a locomotive taken during the American Civil War by one of Mathew Brady’s team. The much-loved film first appeared on August 12th, 1939. A vicious killer died on 21 August 1614. One of the key figures of the Italian Renaissance died on August 1st, 1464. 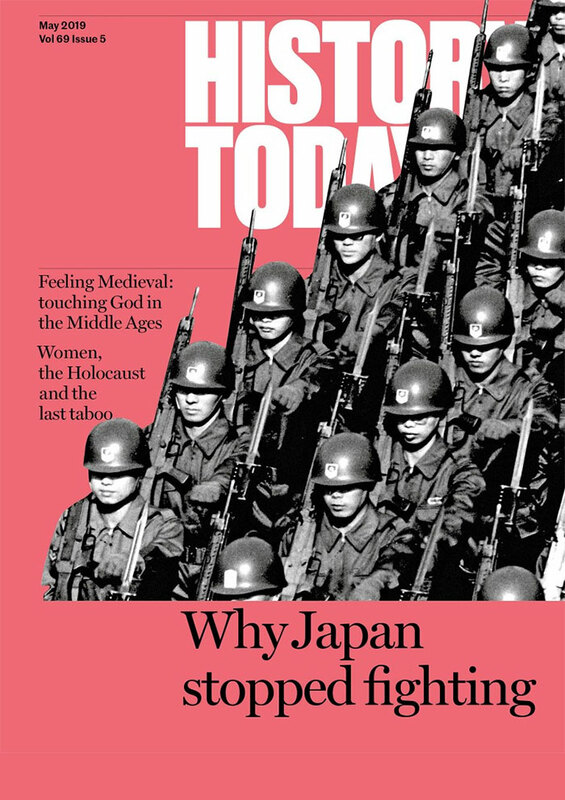 Understanding the emotional lives of people in the past is one of the most difficult challenges facing the historian, argues Suzannah Lipscomb. Graeme Garrard describes the events that led to the torching of the new US capital by British troops in August 1814 and considers the impact of the ‘greatest disgrace ever dealt to American arms’ on the US, Britain and Canada. British historiography has been offered a once-in-a-generation opportunity to integrate Ireland’s contribution into analyses of the Great War, argues Catriona Pennell. Three hundred years ago, in August 1714, the Protestant Elector of Hanover ascended to the thrones of Great Britain and Ireland, becoming George I. Graham Darby describes the latter phase of the personal union, which lasted until 1837. 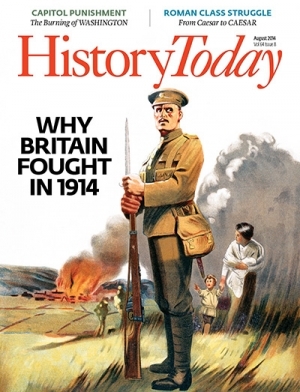 When Britain declared war on Germany in August 1914 there was no outbreak of jingoism and no immediate rush to enlist. What Anthony Fletcher finds instead, in letters, diaries and newspapers, is a people who had little comprehension of the profound changes to come. The Concert of Europe, the diplomatic model championed by Britain in the run-up to the First World War, was doomed by the actions of competing nationalisms. Britain’s entry into the conflict became inevitable, despite its lack of military preparation, as Vernon Bogdanor explains. Stephen Cooper and Ashley Cooper find parallels between the Schleswig-Holstein question and more recent European interventions. T.P. Wiseman looks at how Roman republican ideals and the struggle between optimates and populares shaped the lives and legacies of the Roman imperator, Augustus, and his designated successor, Tiberius. Britain and Russia came close to blows over Crimea in the 18th century. The Foreign Office was long a bastion of male chauvinism. Only during the Second World War did women diplomats begin to make their mark. Plans to remake the landmark BBC TV series raise challenging questions about contemporary pieties. The British Army: The New Contemptibles? Neglected by politicians, today’s British army bears an alarming resemblance to the force of 1914. Dan Jones argues that Nigel Saul’s article on Henry V and the union of the crowns of England and France does not take into account the long-term consequences of the king’s achievements. Matthew Parker, on the centenary of the completion of the Panama Canal, describes the gruelling challenges faced by those competing to succeed in the project to join the Pacific and Atlantic oceans, from the 16th century to the present day.